Keanu Reeves stars in this sombre action packed genre piece about a man hell bent on revenge after a brutal home invasion kills his dog. 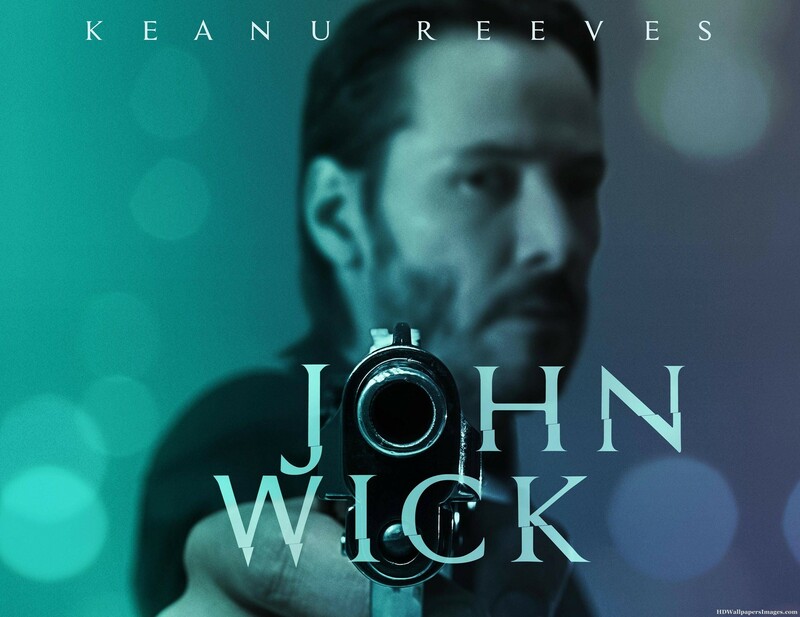 Keanu Reeves is the retired assassin John Wick in directors’ David Leitch’s and Chad Stahelski’s film of the same name. The film opens in grey sombre tones with the shot colouring reflective of the morbid content. Wick has recently lost his wife and she was the only thing that kept him from the dark world that he once inhabited. Narratively John Wick is a simplistic film and it serves as a competent vehicle for Wick’s actions. After his wife’s funeral Wick returns to his home, which is now an empty and lonely place, lacking the warmth of her companionship. However she does have one last gift for John and it arrives with a neat little bow around its neck – it’s a small puppy, a symbol of hope and a suggestion that life can go on. John Wick embraces this hope and the little dog is sweet, friendly, and full of life. These are all traits that John himself is lacking but clearly they were elements that defined his wife too. However things don’t quite play out in a gentle manner. Instead, a vicious home invasion leaves John on the floor, and his little puppy dead. It’s a storytelling device that is immediately familiar to fans of the revenge genre and this action provokes the rest of the plot. John now has to embrace who he once was if he stands a chance of saving who he has become. John Wick then is the story of a man who lost his wife, his dog, and now has a number of bad guys to deal with. Ironically enough the saddest part is the death of his dog (not his wife) and we never really get to see the woman who changed this assassin’s life. Instead we see her through her absence and the events that transpire after her death show just how important she was. Wick is now a man adrift and he will stop at nothing to avenge her memory and her one last gift to him. The setting of John Wick is New York City and it is depicted through grey colours, late night bars, and an odd filmic style that reads like eastern martial arts films fused with a western gun slinging narrative. Wick is unstoppable and in his lack of definition, he has little in the way of a backstory, we find a compelling postmodern narrative. Wick exists in the moment and his actions are driven consistently by those around him. To say he is reactionary is however not quite accurate. Instead Wick is a man who has found something to fight for, a motivation that’s not financial, and he will stop at nothing to recover what he has lost. Of course in the process there is the danger of losing himself but that’s a narrative for a deeper film. 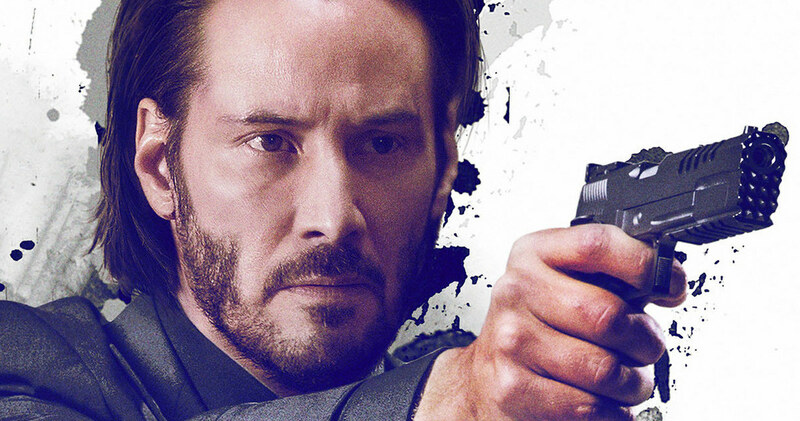 John Wick is a revenge piece and little more but that’s not exactly a criticism. John Wick is a film that’s economical with its narrative and opts to use action to convey its plot development. Wick himself is a man of few words and the film itself uses known tropes to convey its intentions. There’s Tarantino-esque fonts used for text messages and subtitled dialogue, every character is themselves an archetype, and the bad guys are Russians with a sort of comic book style to their makeup. In fact this is what makes John Wick so convincing as an action film. It is completely driven by its genre conventions and it sticks to its guns and refuses to apologise or rationalise the behaviour happening on screen. Instead it’s a world of criminals but ones that have a strict code. This ensures that Wick’s actions are considered ‘legal’ by his old criminal buddies. Our hero then is flawed, battered, and a man of few words but he speaks volumes through his immediacy. Keanu Reeves is perfect in this role and the mix of gun play, hand combat, and throw away cheesy one liners suits this actor well. There is a touch of humour, a self awareness, that makes John Wick that little bit more entertaining than most genre pieces in this vein. There’s also a great supporting role from Willem Dafoe as Wick’s friendly sniper cover but their pairing is never really explored or explained – they just share a profession. Arguably there’s a laziness to the writing, the exposition, and the story that unfolds in John Wick but that sort of seems to be the point. It’s a film that’s naked in its ambition, it never subverts or attempts to change its narrative arc, and in that something admirable emerges. John Wick is a genre piece and one that is proud of its label. It uses familiar character archetypes, it borrows from other notable pop culture tropes, and as a postmodern exploration of late night New York bars, fast cars, and retired assassins it works well. John Wick is a stylised, confident, and pulpy piece of cinema. It lets Keanu Reeves reiterate his specific acting skill set and it tells its story through on the nose exposition, a distinct lack of character development, and gleefully violent, well choreographed fight sequences. Once it gets going (like John Wick himself) it’s unstoppable. As I said in my own review of this film, nothing triggers immediate audience sympathy better than the destruction of innocence. There’s something innate in us that stirs our wrath and hatred against those so cruel and/or petty who would kill a puppy, a pet, or a child. Other key reasons I felt this film worked was its handling of Keanu Reeves. Clearly Leitch and Stahelsky know their lead man’s strengths and have him do a lot and say very little. Reeves has virtually zero emotional range, but he has screen presence and action-muscle memory for days. To that end, his character is established as conscientious badass who is not invulnerable. There are multiple key instances throughout the plot where Reeves is outclassed, outnumbered, or simply put in genuine danger that sustains the film’s tension and the action remains interesting. The Swedish kickboxer who throws him over the club balcony is as important to the film as Michael Nyqvist. I agree with your comment. I would suggest that it’s all down to the context. John Wick’s narrative is focused on the immediacy of the moment and arguably uses a gamified approach to tell its story. That’s not to say that Wick himself isn’t a driven man. He has simplistic motivations revolving around the need for revenge and the desire for justice – things that the audience can get behind. I like what you’ve said about innocence too. The puppy’s death is important from a narrative perspective as it pushes Wick straight towards conflict but it’s also markedly sad. It stands as the end to his naivety, his assumption that living a good life will keep him from the violent world he once existed within. 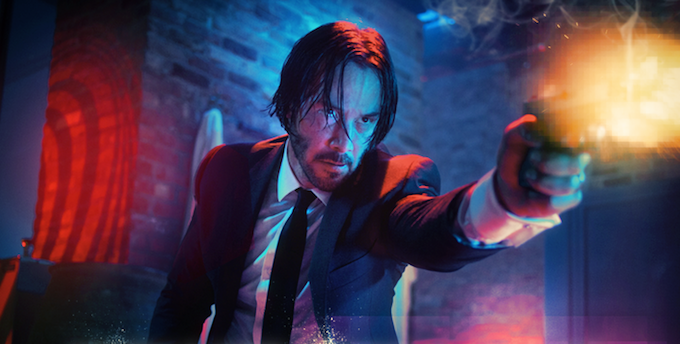 In my mind John Wick is a genre piece and little more but that’s its key strength. Reeves embodies his character’s archetypal needs and it allows the film to build on its conventions and subvert them too. It reminds me most of Collateral, with its late night sprawling city setting, Wick’s aptitude for violence, and his existential angst too.